After successfully changing the water in my pool from chlorinated soup (it has been there for three years and has had chlorine added every week)I have now discovered an interesting process has to be driven along before coming out the other side with Super Water. Adding shungite GANS will clean the water and keep it stable for a number of weeks (five in my case). Then the water will start to become alive again, water bees turn up, algae forms as well ... I was going to get a fishing rod at one point!! The pool was green enough to hide the bottom, but after then providing a copper GANS in a bottle suspended in the water the algae started to clear. 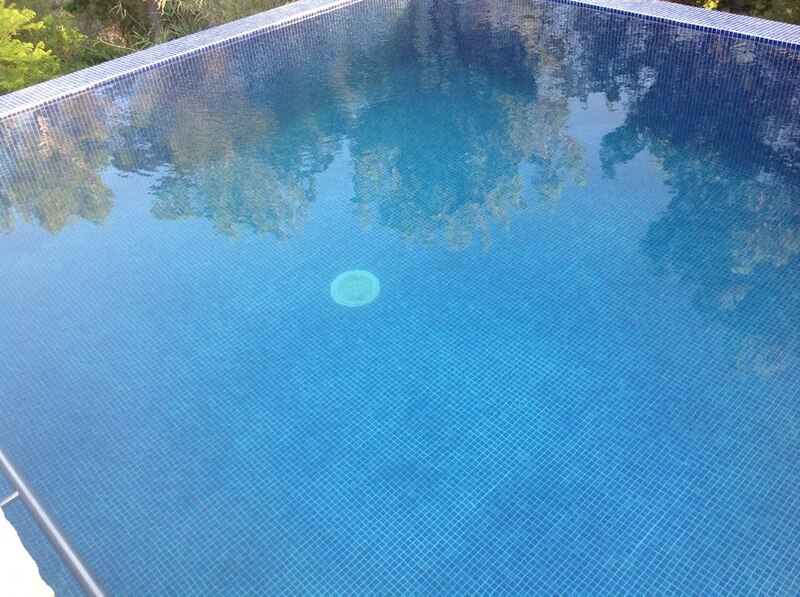 The pool is now a beautiful shade of turquoise and is silky smooth to swim in. It appears you have to go through this process of renewal to come out with an alive but clear pool. Lab tests confirm. 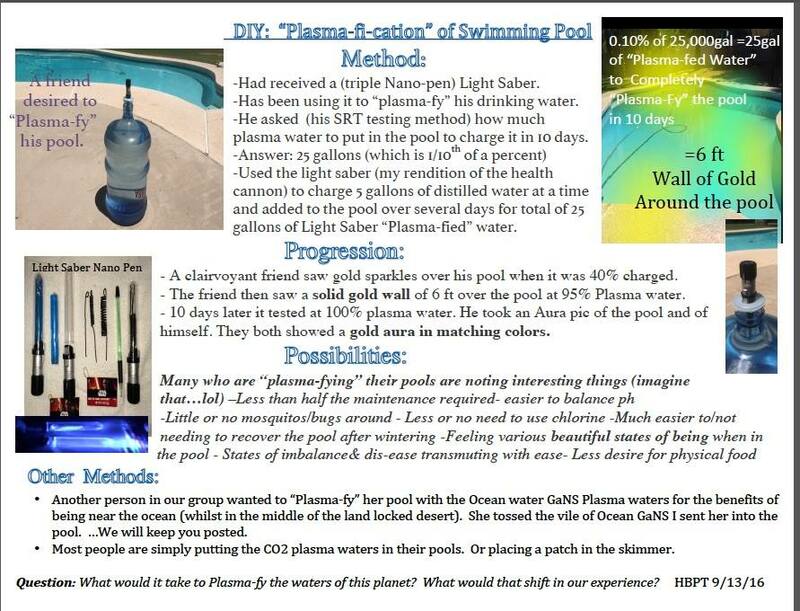 So shungite GANS first for the transformation (changing the memory of the water from chlorine to shungite) and then copper to assist the algae control. Users are diving into a field of shungite GANS and because it is so good at cleaning off negative energy and EMF after 20 mins they feel fantastic. Shungite GANS....one large bowl with clean sea water. One small glass container inserted into seawater to form separate dry area within the bowl. One copper plate straight or curved to match design of bowl which has been fire coated (no caustic). One piece of shungite or super shungite inserted into smaller glass container. One copper wire connected to both the shungite and the copper plate. Your intent in bucket-loads instilled into the process using quiet meditation and maybe clear water sounds. A lid. Leave in an appropriate place. In 36 hours it should start making turquoise gans. Extract the gans and no need to rinse it. Do not clean everything before making a second batch ... just re-use and you will find gans will appear more quickly. Less than half a teaspoon in distilled water in a jar suspended in the pool is enough to start the process. Your new plasma pool will attract birds and animals at some point ... they know a good thing when they sense it...we had two owls who turned up and bath every morning at sunrise!! Have fun. You can order Shungite online, the real stuff should come from Russia, check your source since it is getting more popular and subject to lower quality offerings. 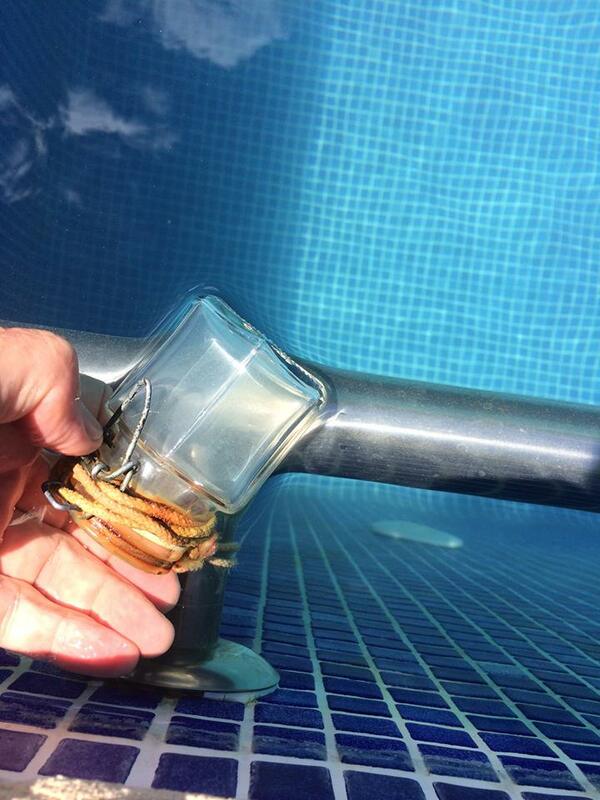 Carolina de Roose (Mrs Keshe) also recommends: "If you put plastic containers let say 4 in each corner with the 4 ganses in at the bottom of the pool it stays sparkling clean."